ALLENTOWN, PA December 8, 2015 . . . Long Island NASCAR Whelen Modified Touring Series competitor Justin Bonsignore is the latest driver to enter the Len Sammons Motorsports Productions (LSMP) Ironton Telephone Allentown Indoor Races presented by Future Homes set for Saturday, January 2, 2016 at the PPL Center. Bonsignore 27, has one previous Indoor TQ Midget start, at Atlantic City’s Boardwalk Hall where he drove as a teammate to TQ favorite Ted Christopher. Bonsignore is a past winner in LSMP Indoor action, at Providence, R.I. That win was in a Champ Kart race, however. For the 2016 LSMP Indoor season, Bonsignore will be driving a car built by Mark Lafler, whose cars are considered be the top of the line with many indoor wins. The particular Lafler is the one Patrick Emerling wheeled in last year’s Indoor events and was extremely fast. Bonsignore bought the car ready to race. “I actually picked up the car from Patrick at the Loudon Modified Tour race,” Bonsignore said. The Holtsville, N.Y., driver won the North-South Shootout in Concord, N.C. for asphalt Modifieds in his last start of 2015 and will thus bring momentum to the three-venue, four race Indoor Series fueled by VP Racing Fuels. Bonsignore was ranked tenth in the 2015 NASCAR Whelen Modified Tour standings despite winning two Tour races, both at Riverhead Raceway, his home track. He finished third in 2014 NWMT and won the VMRS Modified Series crown the same year, managing to juggle the demands of competing in two Series successfully. 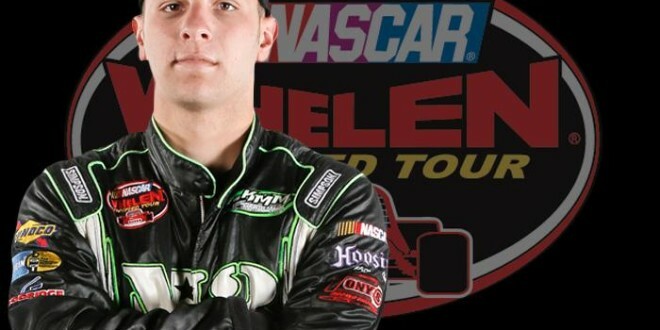 Bonsignore intends on returning to the elite NASCAR Whelen Modified Touring Series in 2016 with the No. 51 Modified owned by Ken Massa and will also race in selected Tour Type Modified races driving Art Barry’s No. 21. The Long Islander remained undecided as to whether or not he will enter the Champ Kart races scheduled for the Atlantic City and Trenton indoor events. Also recently entering the Ironton Telephone Allentown TQ Midget race was David Calabrese. Calabrese, a native of Toms River, N.J., who now calls Mooresville, N.C., home, has raced on the NASCAR Southern Modified Touring Series for the past two years. This past summer, he won a Modified feature at the fabled Bowman-Gray Stadium in Winston-Salem, N.C.
Bonsignore and Calabrese are among nearly 80 TQ Midget entries for the first Allentown Indoor race. Tickets for the event are selling at a rapid pace and available exclusively through PPLCenter online, by phone at 610-347-TIXX, or in person at the Mealey’s Furniture Box Office located on 7th & Hamilton St. at PPL Center. With 80 competitors vying for only 24 spots in the 40 lap TQ Midget main event sponsored by Ironton Telephone with Avaya, making it to the main event will be an accomplishment. The racers that excel in those qualifying events will be rewarded for their efforts. 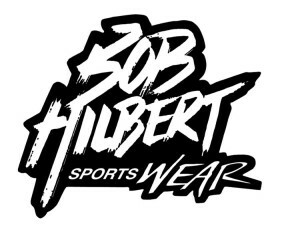 Thanks to Bob Hilbert Sportswear the driver that circles the tight 1/10 mile concrete oval the fastest during the afternoon time trial session will receive a $100 cash award. Additionally, the winners of the six TQ Midget heat races will be get some extra cash courtesy of All American Property Maintenance. When the green flag drops, the powerful open-wheel Three Quarter (TQ) Midgets with drivers from throughout the Northeast and Canada competing will be the headline division. Slingshots, identically built cars that resemble Modified stock cars, will also compete in the one-day event. The Allentown event is part of a three race indoor series. Each of the competitors who will be racing in the trio of Len Sammons Indoor Racing Series events – at Allentown, Pa., on Jan. 2, 2016, at Atlantic City, N.J., on Jan. 29-30, 2016 and at Trenton, N.J., on Feb. 26-27, 2016 – will be racing to the front of the field with VP Racing Fuel in the fuel tanks of their cars. 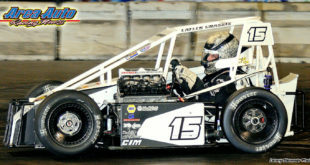 Tickets for the 14th Annual NAPA AUTO PARTS Atlantic City Indoor are available from the Atlantic City Boardwalk Hall Box office, all Ticketmaster offices and online at www.ticketmaster.com. To order by phone, call Ticketmaster at 1-800-736-1420 or 1-800-745-3000 or call the Boardwalk Hall Ticket Office direct at 1-609-348-7100. 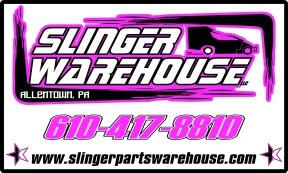 Trenton Indoor Race tickets are available online at www.comcastix.com or by phone at 1-800-298-4200. Tickets may also be purchased at the Sun National Bank Center Box Office on Monday through Friday from 10am until 5:30pm and on Saturday from 12 noon through 4pm. All ticket prices do not include a $2 facility charge; facility charge increases to $5 for tickets purchased on the day of the event. LSMP is currently seeking additional marketing partners for this exciting first time event, including title sponsorship and special event sponsors. Contact 609-888-3618 for more information.